For many in the advertising industry, Alyque Padamsee was God. Known as the Father of Modern Indian Advertising, he inspired a generation of advertising professionals and passed on his genius to many others. Over his career spanning five decades, Padamsee created over 100 brands. He built Lintas in India and served as its chief executive for over a decade. He then went on to become the Regional Coordinator for Lintas in South Asia. Padamsee gave us some of India’s most iconic advertisements. He created mascots like Lalitaji for Surf, Cherry Charlie for Cherry Blossom Shoe Polish, the MRF Muscle Man, the Liril girl, the Kamasutra couple, and Hamara Bajaj. He was a pioneer in television advertising. He along with other stalwarts of the time changed the format of TV advertising from single brand led ads during a 30 minute slot to multiple brands advertising during the same 30 minute window. He was among the first to harness television and radio as mediums for advertising. The formidable combination of Lintas and Hindustan Unilever Limited were among the first-movers in leveraging the power of the 30-second ad format. Above all, Padamsee was a communicator par excellence. In addition to commercial advertising, he also delivered successful public service campaigns. He created multiple public service ads on various topics from AIDS and eve-teasing to road safety. The Mumbai Municipal Commissioner once asked Padamsee to create a campaign against the consumption of roadside sugarcane juice. The campaign was so successful that sugarcane juice vendors experienced a 50 per cent drop in sales and protested to have the campaign withdrawn. 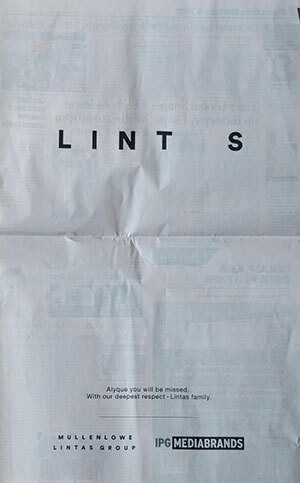 He also crafted the iconic ad to promote the habit of wearing helmets. Padamsee believed in letting his storytelling do the work rather than verbally communicate the call to action. In the ad he never says “wear helmets”; he lets the visuals deliver the message. It is said that upon seeing the ad the police commissioner complained to Padamsee that the words ‘wear helmet’ were not used in the ad. To this Padamsee replied: Let the ad air and see the effect. The commissioner compiled after much convincing. Truly, the ad needs no verbal aid. Padamsee led a "double life". When he was not working on an ad, he was a theatre actor of repute. He chronicled his experiences as an ad man and theatre actor in a book titled Double Life. He was best known for playing the role of Jinnah in Richard Attenborough's Gandhi. He received the Padma Shri in 1999 for his contributions to the fields of advertising and theatre, and the Ad Club of Mumbai conferred him with the title of Advertising Man of the Century. The industry has lost a legendary and iconic figure who earned tremendous respect from his clients and from his peers. And it’s sad to see him gone, but I would also say ‘well played Alyque’. He scored a 90 and lived well, and was not the kind of man who would have lingered on in any which way that he was helpless in. So, he has lived life to the fullest. He did wonderful things for his agency and for the industry. Alyque Padamsee did a lot to bring advertising into the limelight in the 70s and 80s. The fact that he was a good showman helped improve the profile of advertising. Some of the outstanding campaigns I remember him for are the Liril ad, Lalitaji for Surf and Pooja Bedi for Kamasutra. I think Alyque was the first creative person to also become the head of the agency, way back in the 80s. One of the things I learnt from him is the importance of rehearsal. He was a taskmaster but he would never make a speech or a presentation without a rehearsal and this is what I tell my young people all the time when they have to make a presentation. He was a very unique and towering personality. I had the good fortune of working with him. We worked together for Liril which was a brand very close to his heart. He would ensure all the decisions around it were personally cleared by him. He was such a multi-faceted personality. Apart from Lintas, he made time to do theatre, apart from serving as the advisor at the Rajiv Gandhi Council and a hundred other things. He would make sure we perfected anything we did. He once said, “Rehearse, rehearse, rehearse, till it looks like you haven’t rehearsed. 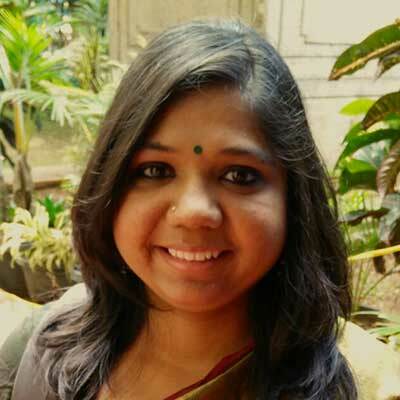 ”There are so many learnings you pick up when you work with such a personality. I had the privilege of working with him at Lintas between 1983 and 1991. I guess he answered the question, “Can you lead an epic larger-than-life life, yet be successful in everything you do?” with a resounding “Yes!" He deployed his skills of cinema and theatre in advertising and the discipline of advertising in theatre. So one the one hand, he would sit at the back during every show, and make changes according to ‘consumer’ reactions, like a true marketing man. On the other hand, he would rehearse every single big advertising presentation, like a theatre person would. In an industry known for grand-standing, he was truly egalitarian: if you were talented, it didn’t matter how you looked, what you wore, what your beliefs were. He would be the wind under your wings. I started my career with Lintas Delhi when he was the Chief of the agency. He was a perfectionist with incredible energy. I remember everyone used to be in huge awe of him because of that. Alyque was the face of Indian advertising when I was studying communication design at NID. Besides being a top ad-man, he was also a celebrated actor and theatre director. I used to love theatre and I was passionate about advertising so I had decided early in my years at NID that the only place I would apply to and join after I graduated would be Lintas. So I did just that. Applied at Lintas Delhi. He was an inspiration to many a youngster who chose to get into advertising. Alyque Padamsee has defined Indian Advertising like no other. He along with a few others convinced Doordarshan to split up the 6-minute ad slots in a 30-minute program (typically reserved for only one brand) into multiple slots to encourage competition thereby liberating television advertising forever. He was the one who shifted advertising from print to television and then went on to harness the power of radio advertising when radio was commercialised. Unilever empowered by his creative genius, therefore, benefitted from and became the first-movers in the world of television and radio advertising. Not only did he tell the stories of 100 brands and more, but he also gave programming ideas like the Chitrahar, Antakshari and Detective Karamchand. There was once a huge debate about which agency was the No.1 in India - Lintas or JWT (then HTA). The press reported that HTA was including the billings of other companies like IMRB to inflate its billings. Alyque who had not said much during the debate simply proclaimed Lintas as No.1 by putting up a huge No.1 sign on Express Towers which could be visible from Malabar Hills. That’s the kind of leader he was. Never one to cow down. He always confronted problems head on - whether it be for his team or himself. He would take the blame for a campaign gone wrong if he believed that it truly went wrong no matter who the employee was. If not, he would march up to the client and explain why a certain campaign was right. Alyque Padamsee stood for a certain old world Bombay, the liberal, cosmopolitan Mumbai which I fear is no longer with us. So, Alyque for me is nostalgia. He reminds me of a Mumbai that I miss -- the Mumbai of advertising, the Mumbai of people of grace, people of charm, people of wit. 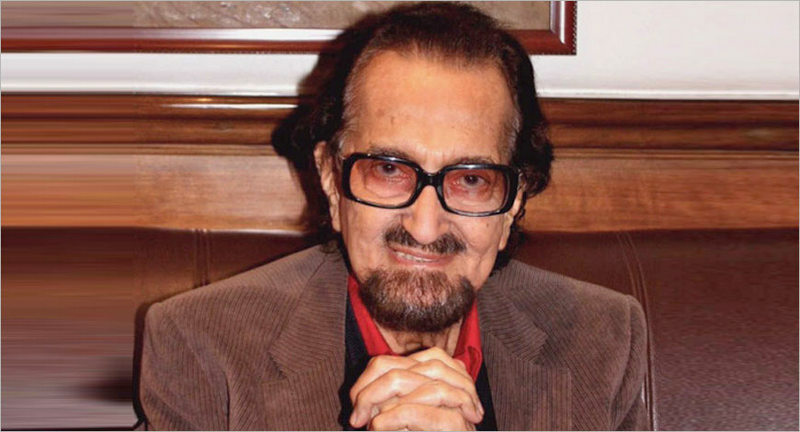 Alyque Padamsee was ‘larger than life'. He had a great sense of humor and was a fabulous mimic. He had a zeal for life which was infectious.